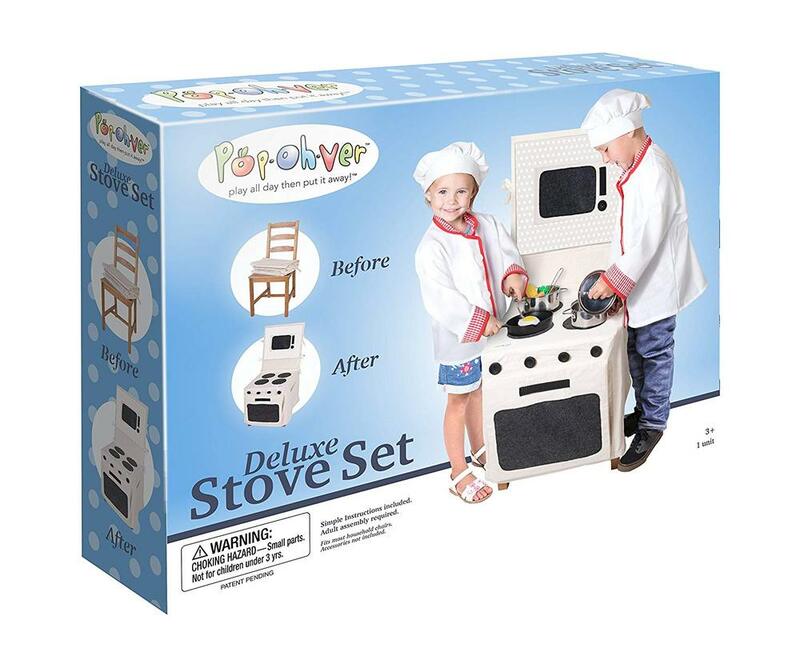 Our Pop Oh Ver Stove Set is revolutionizing kids play time! Simply fasten the Pop Oh Ver Stove over a chair and presto! Your very own stove and microwave are ready to use. Our Stove Set is lightweight and portable for fun on the go. 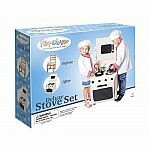 Take our Pop Oh Ver Stove Set to a slumber party or play date and have hours of fun. Includes one Pop Oh Ver Stove Set and instructions. 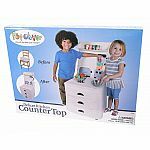 Play food, pots, pans, and chef attire not included.